Fresh herbs make everything taste a little brighter. 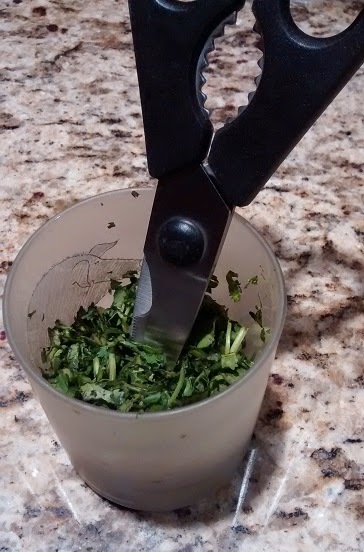 Something that I do to save time and mess in my kitchen is to chop up herbs in a glass with a pair of kitchen shears. To chop, I just snip away in different directions until the leaves reach the desired size. All of the tidbits are contained in the glass. 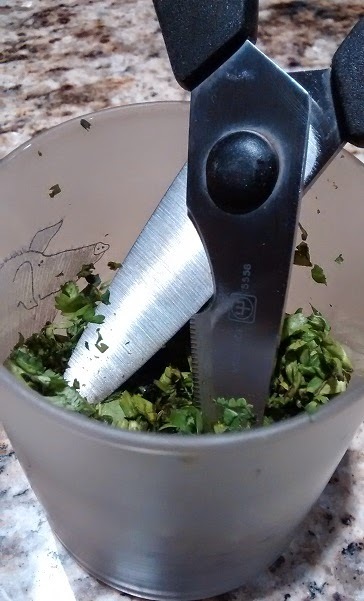 When you have several different herbs that need to be chopped and mixed, this method does both at the same time.